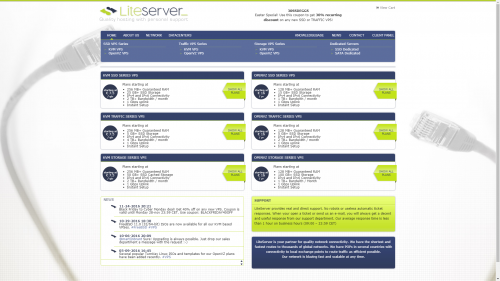 LiteServer is your partner for quality and affordable IT services. The coupon you’re using will remain valid on future upgrades of the VPS. Looking for more discount to make our deal even more awesome? – We are no reseller. We have our own racks, equipment and network – one of the keys to provide a quality and reliable service. – We are in business since 2007 and provide rock solid services. You can trust us! – Friendly and professional support. Customers are not just a number at LiteServer! These are our standard KVM/OpenVZ plans with 100% SSD storage. The amount of memory, storage and bandwidth are all “balanced”. 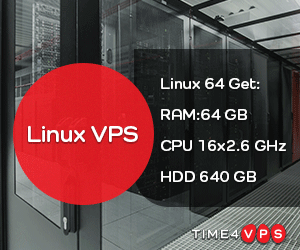 These KVM/OpenVZ VPS series are mainly designed for clients who use their VPS for high bandwidthpurposes. For example, private VPNs. The traffic VPS series have either SSD or SSD-Cached based storage, and will come with a lower amount of storage than our SSD / Storage VPS plans. (*): All our VSPes are instantly setup unless out of stock, or your order has been picked out for manual review.